Whiplash Oscar nomination: What’s it like to be nominated for an Academy Award? What’s It Like to Be Nominated for an Oscar? Oscar statuettes at the Academy Awards nominations announcement in Beverly Hills, California, on Jan. 15, 2015. But basically the experience is very strange. First of all, you spend years trying to make the movie. That involves lots of little decisions and lots of little milestones. For instance, in our case, we failed to raise money for the film, so we took 17 pages out of the screenplay and shot it as a short. We hoped it would be good. It was. Then we submitted it to Sundance. We hoped it would get in. It did. We hoped it would win an award so that it would be easier to market Damien Chazelle as a director to potential financiers. It did. Then we went back to all the institutional financiers, and only two offers came in. Then you kill yourself to make the movie and make it well. Then you hope it gets into Sundance. Then you hope that it gets a good slot at Sundance. (No film has ever broken out of Sundance while playing late in the week.) Then you hope it gets a distributor—in our case we only had two offers for distribution. The point is that you spend a lot of time making decisions and hoping the decisions were the right ones. Then the movie’s done, and there’s nothing else you can do, and it just bounces into the world. You don’t know what strange things will happen to it and what “narratives” will attach to it. Unlike big Hollywood tentpoles, specialty films need to be more than just good movies—they need to have narratives that can propel them through an awards season. Basically a story that will make the very few arbiters of what’s good (Oscar voters and urban critics) feel good about voting for the film. In our case, the narrative that emerged from Sundance was that J.K. Simmons was a beloved actor who had done a great job in small roles in great films but had never had gotten his own “aria” until now. So we the filmmakers all sat back and sort of watched that narrative calcify into the conventional wisdom. The other strange thing that happens in awards season is, well, here you’ve spent years fighting to get a movie made and to make it well, which is so much work. And then the movie’s done, and there’s nothing to do, but you realize that in order to get credit for your work you have to fight for it. Can I get into the Writers Guild Awards? Can I get a ticket to Cannes? Can I go to to the head of the studio’s Academy Awards cocktail party? Can I be the one who does the Q-and-A at the producer’s guild? There are squadrons of publicists with all kinds of competing incentives working on “positioning” one of the film’s participants. Among producers that is especially true because the definition of producing is so porous and ephemeral. But it’s also true of directors who direct actors to acclaimed performances yet don’t themselves get directing nominations. This process of trying to grab credit really kicks into gear in the fall, a full year after we had made the film. That’s when the 6,000 members of the academy started to watch the movie, and this peripheral buzz started to build. 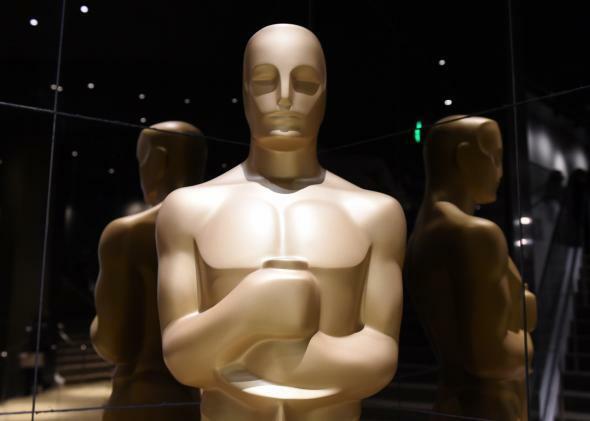 We hoped it would crescendo at the right time and enough Oscar voters would express their advocacy of the movie to one another that they would feel comfortable voting for the movie. All the critics’ awards that precede Oscar voting give the voters a kind of permission to vote for a film. Remember that the industry views the Oscars as an annual opportunity to market itself to the world. So, for instance, a great film like Edge of Tomorrow has already been marketed to the world—the academy doesn’t feel a need to, even though it’s probably more difficult to make a masterpiece tentpole than it is to make a masterpiece art film. Whiplash had a small but vocal advocacy among Oscar voters, which we hoped would put it at an advantage. (The academy uses a preferential voting system that rewards movies that fewer people love passionately as opposed to movies that many people mark as a third or fourth choice.) We all felt we had a shot at Best Picture if the academy nominated nine or 10 films (up to 10 can be nominated). It is easy to forget after a year of being congratulated for Whiplash that there is no precedent at all for an Oscar outcome like this. No movie at this budget has ever won three Oscars. No movie at this budget level has ever won an Oscar for sound or for editing, let alone both. So Oscar night was especially surreal. In the first 90 minutes of the ceremony the movie won three Oscars. And there’s one thing that anyone who’s ever been nominated for an Oscar will tell you: No matter how unlikely the odds of winning (in Whiplash case, they were pretty close to zero for winning Best Picture), you still think somewhere deep down that maybe your name is going to be called when Sean Penn opens that envelope. Executive Producer: What was Couper Samuelson’s role as executive producer for Whiplash? Movies: What are basic things I need to remember before writing a screenplay? Academy Awards: Why haven’t Leonardo DiCaprio, Johnny Depp, Will Smith, Tom Cruise, or Brad Pitt won any Oscars yet?